No one searches for adversity. Bad experiences are simply part of life. Yet how many of us will know what to do to prevent our lives from spiraling out of control when we encounter traumatic events that threaten our safety, careers, emotions, health, or relationships? 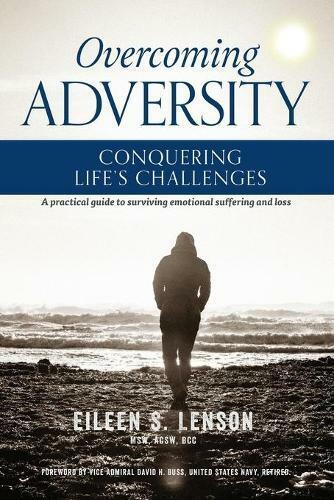 In this pragmatic and practical book, experienced life coach and former psychotherapist Eileen Lenson shows us tools to turn suffering into hope and develop personal resourcefulness by combining new information from scientific research with an understanding of the emotional and spiritual lives that we all experience. She cuts through existing myths and provides readers with a look into what it takes to not just overcome adversity and survive, but to thrive. Written to help anyone who finds themselves in a painful place, regardless of social background, culture, religion or intellect, each chapter describes from a scientific, psychological and spiritual perspective, why we do the things we do. Armed with this knowledge we can learn to manage our feelings and respond to devastating events with the skills to seek healthy coping options and change our lives for the better. In this book you’ll learn how to: * Use five core factors of your life - forgiveness, courage, perspective, perseverance, and hope - to reduce emotional suffering. * Identify and replace unproductive coping skills with healthy thoughts, feelings and behaviors. * Master new skills through practice exercises. * Benefit from the stories of others, just like you, who have faced and overcome adversity.